According to CMO.com, 63% of CEOs agreed that one of their top three investment priorities for the year is to better align with their customers. 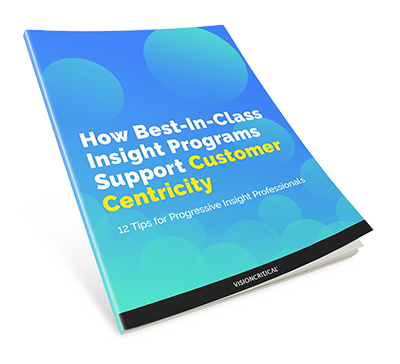 As an insight professional, you need to step up to the plate and start leading your organization towards customer centricity with real-time insights. Don’t know how to start? We cover 12 tips in this ebook to guide you through the process.